Get involved in a variety of Loughborough Sport activities, we have something for everyone! See what activities we have available for you to get involved in today. A wide range of classes focused on relaxation, cardio and strength and fitness. Specifically designed for students and staff who want to exercise, keep fit and play sport for fun in an environment free from competition. Our swimming pool is open to everyone - students, staff and members of the community. Tennis sessions for all abilities. Sports facility opening times including both our gyms. 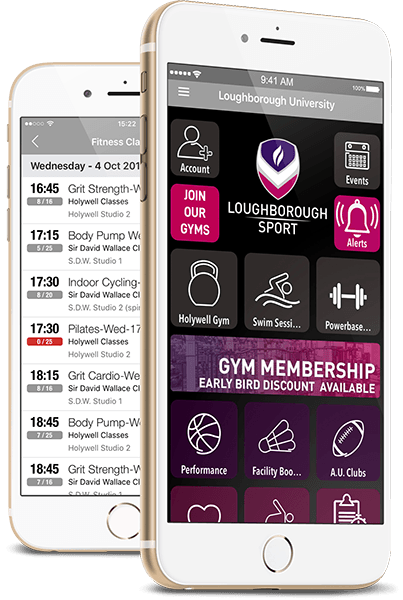 Download the Loughborough Sport App to view our timetables on the go.